TDmonthly - Gamestop – how long can they defy the odds? Gamestop – how long can they defy the odds? Gamestop has turned in another disappointing quarter and it behooves us to ask whether this is a short-term glitch or whether it is a signpost for things to come. If you strip out all the hyperbole about growth and market shares, the facts are that Software, new and used, represented in the third quarter of 2014 more than 75% of the company’s sales and gross profit. 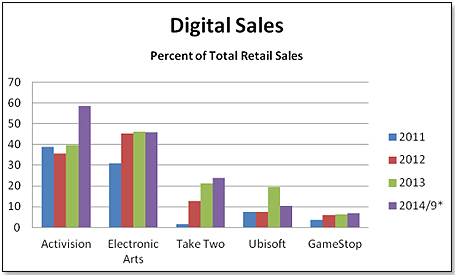 Also, in an industry that moves more and more strongly into digital selling, GameStop’s brick-and-mortar sales still represent 95% of the total. 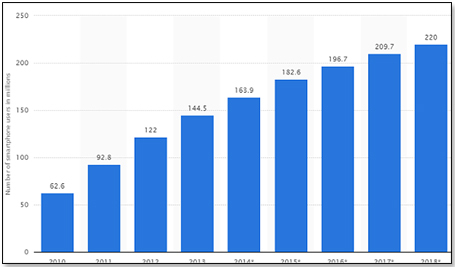 The New Software segment of the U.S. brick-and-mortar video game market has been declining every quarter since the end of 2008 but it still is Gamestop largest business and its second-largest gross profit generator (used games are their most profitable segment). The two leading U.S. publishers, Activision and Electronic Arts, are reporting digital sales either well above or only slightly below 50%. 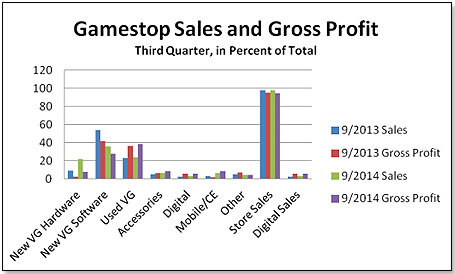 Gamestop, on the other hand, is still stuck below the 10% figure. 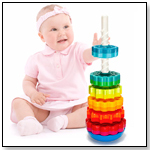 The publishers are highly motivated to pursue this course. For them, it is a win-win. Firstly, they pocket the margin of about 20% now taken by the retailers. Secondly, they make counterfeiting – a thriving business around the world — virtually impossible. Thirdly, there is no such thing as a used digital game that can be resold unless the publishers make it so and have the profit, not the retailer; and finally it establishes a direct link between publisher and consumer and hence makes promotional efforts much more focused and productive. The move of video games away from traditional stores into cyberspace also has consequences for Gamestop. The first is the obvious one. Any game sold by the publishers directly to the consumer via the digital route is one game Gamestop does not sell. 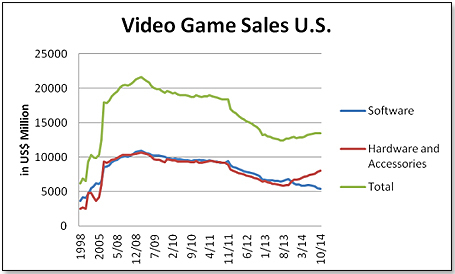 The more the publishers increase their hold on the consumer, the more Gamestop loses out. The other consequence is indirect. Every game sold online and not through a retail store in boxed form is one game Gamestop cannot buy and resell as a used product. This is incredibly dangerous for the company since used games are their single most lucrative endeavor, accounting for nearly 40% of total gross profit. 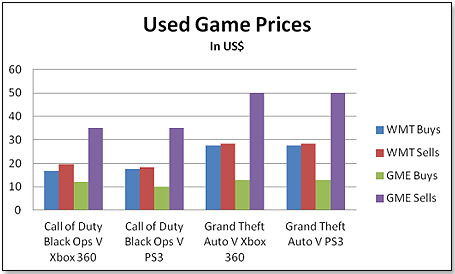 This picture also explains why Gamestop is making so much money from their used games business. While Wal-Mart is not necessarily the destination of choice for people these days, particularly the young ones, the price differences between Wal-Mart and Gamestop may well help to overcome their reluctance. This is particularly true for those who know what they are doing and do not need to rely on counseling from the side of shop assistants. Another problem facing Gamestop’s used game business is the fact that the two leading new consoled – the Xbox One and the PS4 – are not backwards compatible. This means that you cannot play older generation games, such as Xbox 360 or PS3 games, on them. This represents a dual problem for Gamestop. There is already a major trend under way whereby Xbox One or PS4 console owners trade in their older generation games and buy the used games compatible with their latest consoles. Gamestop’s quandary is that this is increasingly skewing their used game inventory – they have too much old games and people are not buying them. Sooner or later, Gamestop will have to stop accepting these old used games and this will make their consumers very unhappy; or they can take a major haircut and just write off this obsolete inventory and take a profit hit. Another threat to Gamestop are smart phones and tablets both of which are increasingly used to play games. Whilst Gamestop has been attempting to carve out a place in the smartphone market by buying and refurbishing used IPhones and other brands for a while, they have now also entered the new phone space. They began selling Apple and Samsung smart phones with no annual contract service from Cricket in 2,800 of its more than 4,200 U.S. stores starting in early October. Customers are also able to use credits from video game and electronics to buy a new Cricket phone. Whilst the strategy is right, there is a major flaw in its execution. Their shop assistants are very knowledgeable in all matters relating to video games but much less so when it comes to talking about smart phones. In this respect, the company fares very poorly in comparison to Verizon or Best Buy. And, as any first-time buyer of a smart phone knows all too well, technical advice and service from the retailer are vitally important. 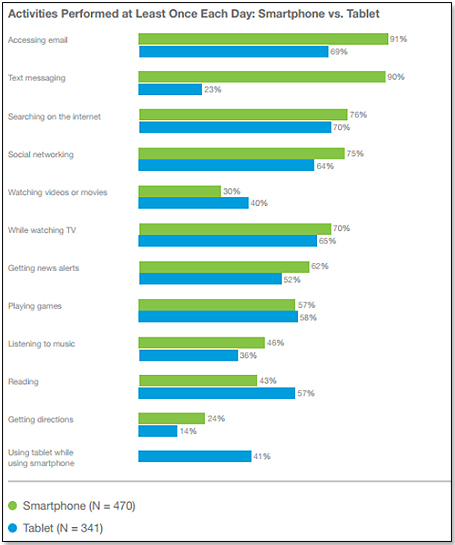 In other words, 57% of all smartphone users played a game at least once a day whereas the percentage for tablets was even slightly higher. So, in summary, will Gamestop continue to defy the odds? In the short term – probably yes. In the long term, probably not. 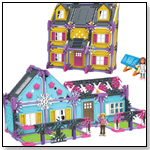 Their efforts to hitch their fates to the digital and the mobile space are laudable but they are too far behind the eight ball to make the necessary transition from a brick-and-mortar based retailer to one majoring in the cloud; and one wedded to consoles to effectively compete in other consumer electronics. •Gamestop – how long can they defy the odds?